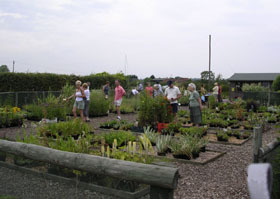 The garden and stock beds are open all year round and we like to encourage our visitors and customers to see how the plants we grow for sale look when established in a garden. 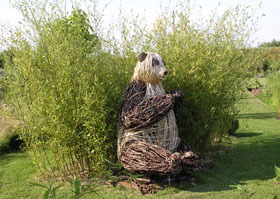 Features of the garden include numerous herbaceous borders, a bamboo grove, willow dome (great for kids of all ages!) and a large natural pond stocked with fish. 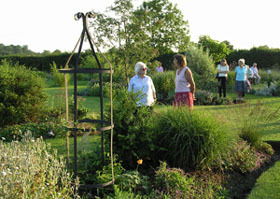 Garden Clubs and Horticultural Societies enjoy evening visits to our garden during the summer months. We provide a conducted tour and refreshments. Members are free to wander at will after the introductory talk. We do make a small charge of £4.50 per head for this, of this, £1 is donated to charity. If you are interested in such a visit, please contact us for further details. 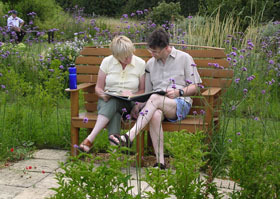 The garden at Bridge Nursery is open from 10am to 4pm every Saturday, Sunday and Bank Holiday Monday until 23 September for charity under The National Garden Scheme. 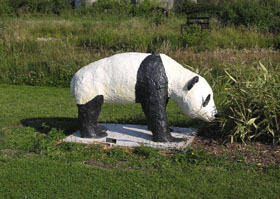 We hope that visitors will “put a little something” (suggested donation is £3 per adult and free for children) in the collection box at the garden entrance. Donations are forwarded to the NGS to distribute to the charities they support which include Macmillan cancer care. Last year we raised £1,200. Thank you to everyone who made a contribution. 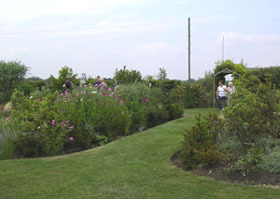 A new ‘hedgerow walk’ has been created around the nursery site. 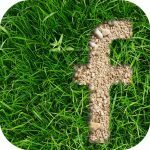 This leads you past the fern garden, habitats for small mammals and also past our newly created butterfly bank, planted up with plants specially chosen to encourage these beautiful insects. Take ten minutes to savour a little nature! At this time of year (May) the hedgerow is full of birds busily (and songfully) making nests and mating. There may be ducks on the pond but they seem a little shy at the moment! Much new planting has been done this winter.